When you’re lazy, even the most intuitive transforming furniture isn’t easy enough to operate unless it’s on the same level as clapping your lights on and off. 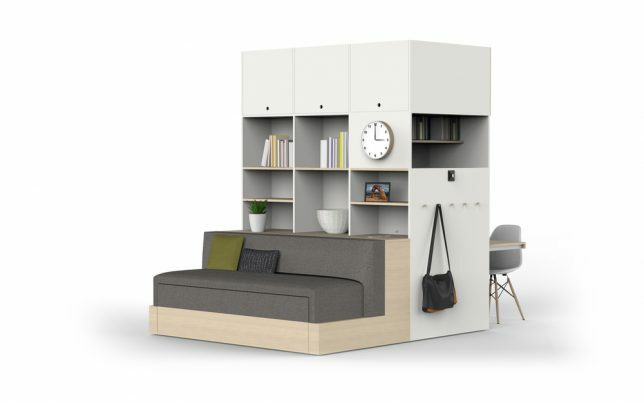 Luckily for those of us who fall into this category, some furniture makers are creating multifunctional designs for small spaces that work their magic at the push of a button, the pull of a string, a flick of the wrist or even a mere gesture. 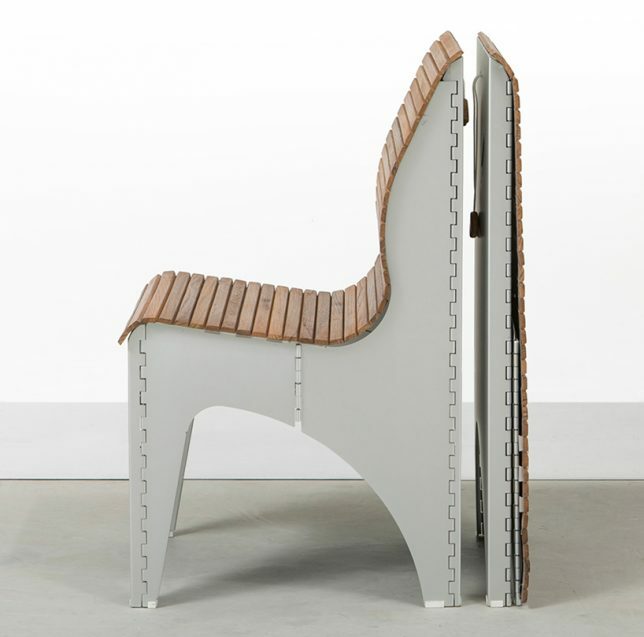 You really have to watch the video of how this chair works to fully appreciate its brilliant simplicity. It starts as an entirely flat panel of slatted teak wood with a slight curve at the top. Pick it up, pull a string and the whole thing unfurls into a seat in a single fluid motion that’s very satisfying to watch, and it works the same way in reverse. The slats are affixed to a textile canvas to make the seating flexible, and the rest takes folding inspiration from origami. 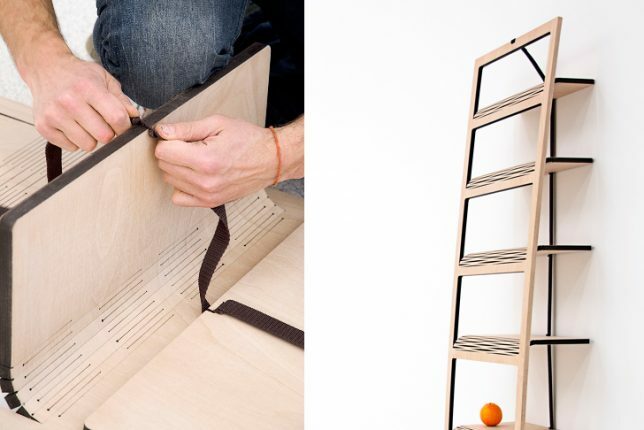 This bookshelf starts as a flat piece of laser-cut plywood. 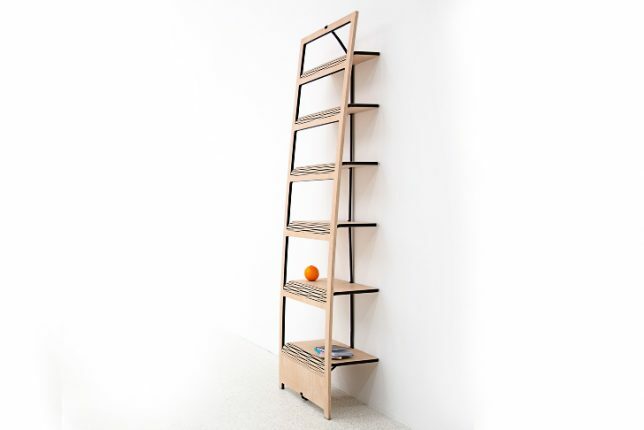 Yang the orange ribbon on the back, and it will pull the shelves down perpendicular to the face so you can rest the whole thing against a wall and use it as a bookshelf. 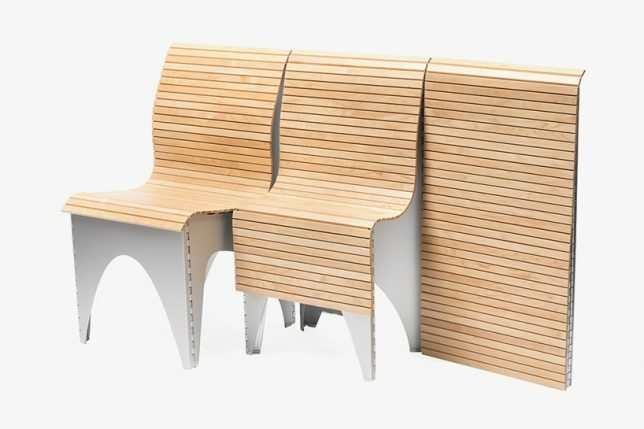 Designer Tomas Schön used a laser-cutting technique to bend the wood instead of hinges, and there’s no other hardware or even glue involved. Still not easy enough for you? How about commanding your bed to slide out with a gesture of your hands? 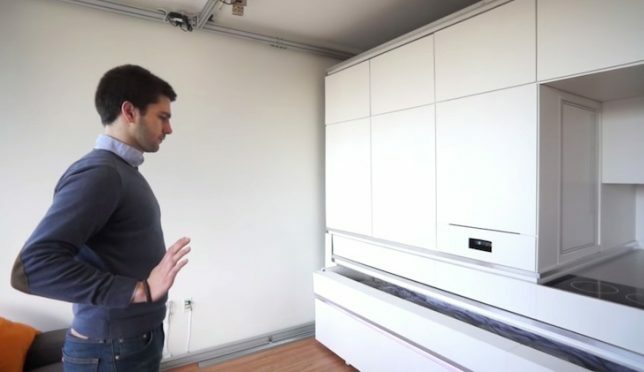 MIT’s robotic ‘home in a box’ can pack a full, spacious-feeling apartment into 200 square feet of space, including a bed, workspace, dining table for dix, storage and a mini kitchen. 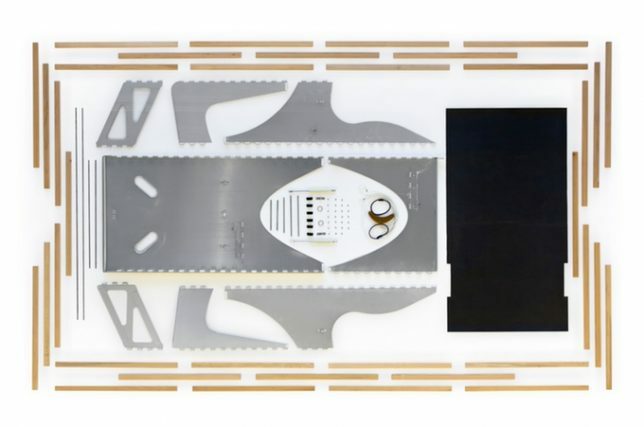 The box uses built-in sensors, motors, LED lights and low-friction rollers to respond to your voice commands or gestures. 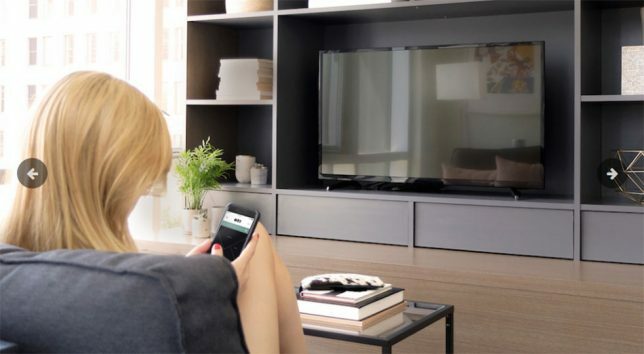 There are all sorts of complex transforming furniture systems designed to fit maximum function into small spaces, but how many of them are operated through a smartphone app? 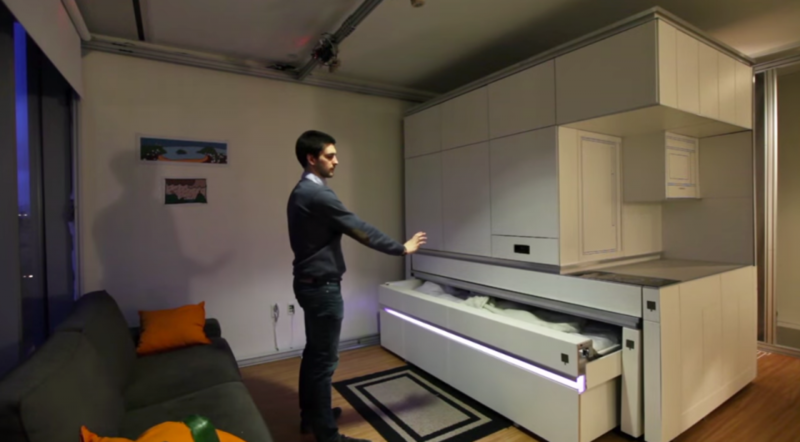 The Ori system (taking its name from the prefix of ‘origami’) runs on robotic technology, featuring an on-device user interface as well as an app for your handheld device so you can press a button to initiate various configurations, like the bed sliding out, the table folding down or the entire unit moving to tuck itself against a wall to open up the floor area. 25 Leap Day Posters to Make You Jump for Joy!